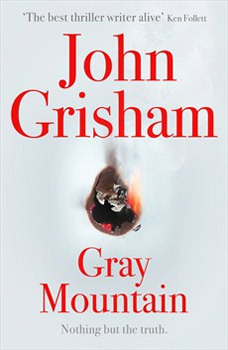 Worldwide bestseller John Grisham will keep you on the edge of your seat with his most suspenseful thriller yet. The Great Recession of 2008 left many young professionals out of work. Promising careers were suddenly ended as banks, hedge funds, and law firms engaged in mass lay-offs and brutal belt-tightening. Samantha Kofer was a third year associate at Scully & Pershing, New York City's largest law firm. Two weeks after Lehman Brothers collapsed, she lost her job, her security, and her future. A week later she was working as an unpaid intern in a legal aid clinic deep in small town Appalachia. There, for the first time in her career, she was confronted with real clients with real problems. She also stumbled across secrets that should have remained buried deep in the mountains forever. John Grisham is the author of a collection of stories, a work of nonfiction, three sports novels, four kids' books, and many legal thrillers. His works have been translated into 42 languages.